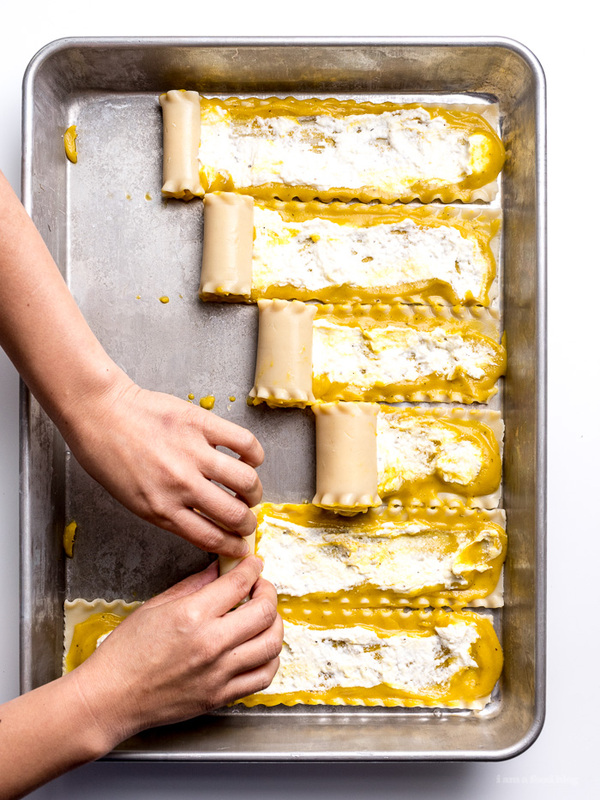 Fall flavors at their best: warm and comforting kabocha pumpkin and ricotta lasagna roll ups with crispy sage. Fall is my favorite time for all the cozy comfort foods. Give me all the soups and stews and savory things full of carbs because you better believe I’m eating like I need to fatten up for the winter. Cold weather definitely makes me hungrier and when I’m hungry, only carbs will do. 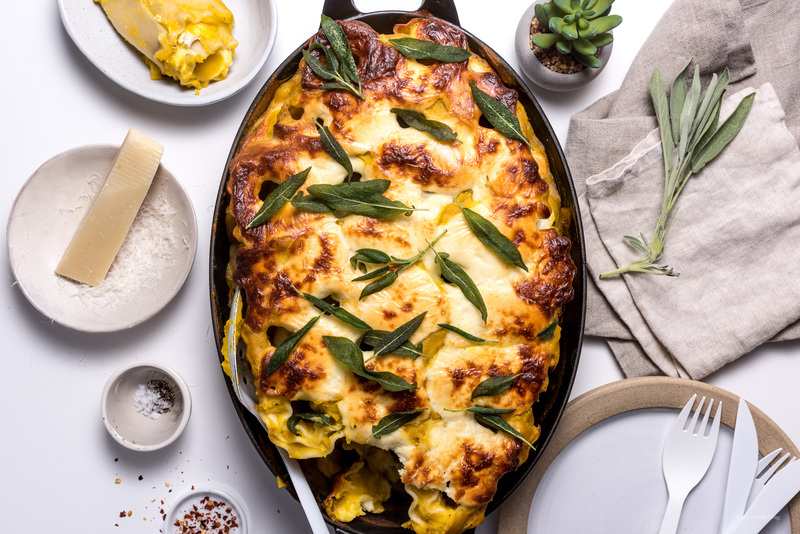 Carbs like this pumpkin sage lasagna! I love the classic combo of pumpkin and sage together. The sweet creaminess of pumpkin, in this case, kabocha, with crispy sage leaves is where it’s at. If you haven’t cooked with kabocha before, I hope you give it a try. You’ll definitely recognize it at the store: it’s that slightly squashed deep green smallish pumpkin hanging out with the butternut squashes. Kabocha is sweeter than pumpkin, but has a similar texture and flavor, which makes it a perfect substitute for regular pumpkin. I love kabocha with a passion. The only thing I don’t love is prepping it because it has a notoriously tough skin. Whenever we buy kabocha Mike has to be the one to cut it up. He’s always telling me that it’s really easy (and safe) to cut it up, but I freak myself out and refuse. 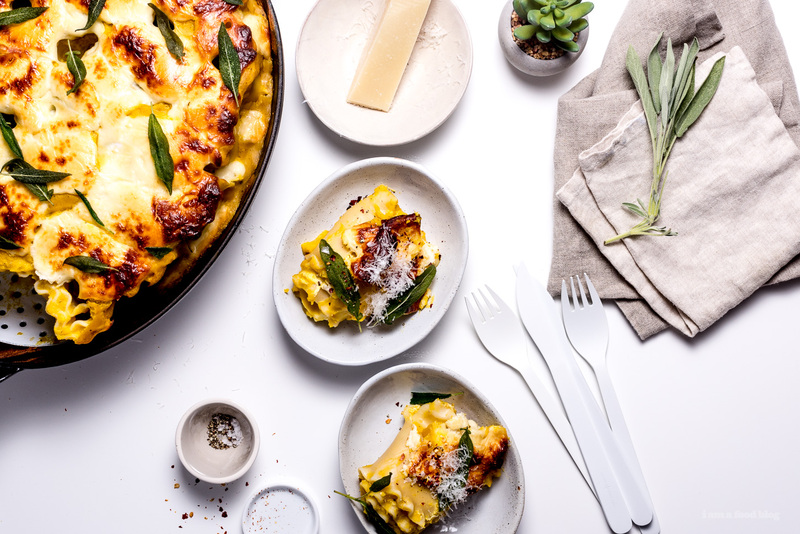 Aside from the kabocha prep work, this lasagna is really easy to put together. I almost think making roll ups is faster than layering. I like spreading on the sauce and rolling, plus all the rolls all snug together look so cute. Hope you guys give this recipe a go. 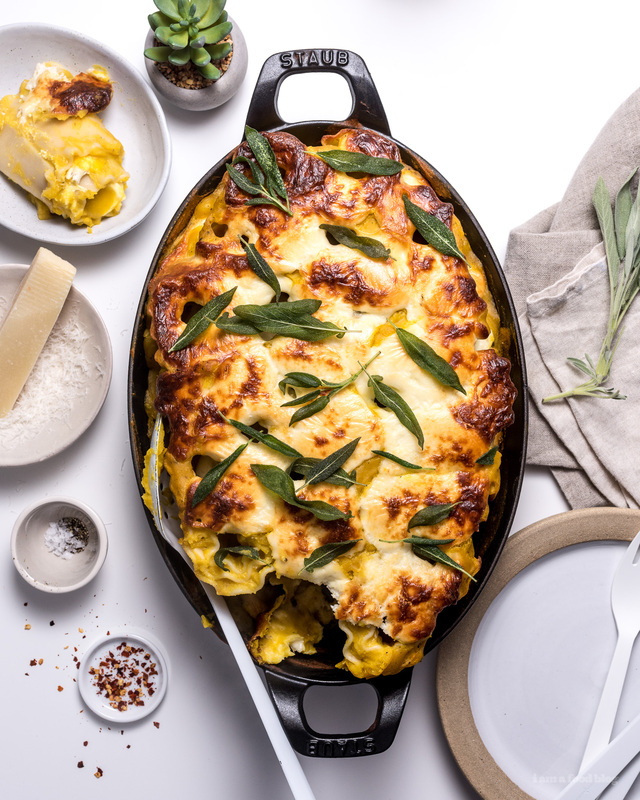 It’s hearty, creamy, and savory: everything you want in a fall pasta dish! Heat up the oil in a large skillet over medium high heat. Add the kabocha, onion, garlic, and sage. Season with salt and pepper and cook, stirring occasionally, until the onion is translucent, about 8-10 minutes. Add the stock, bring to a boil, then turn the heat down to a simmer until the pumpkin is soft and tender, 15-20 minutes. Let cool slightly then blend until smooth in a blender. Season with salt and pepper to taste. While the kabocha is simmering (before you blend it), make the ricotta filling by mixing together all of the ingredients. Boil the lasagna noodles according to the package. 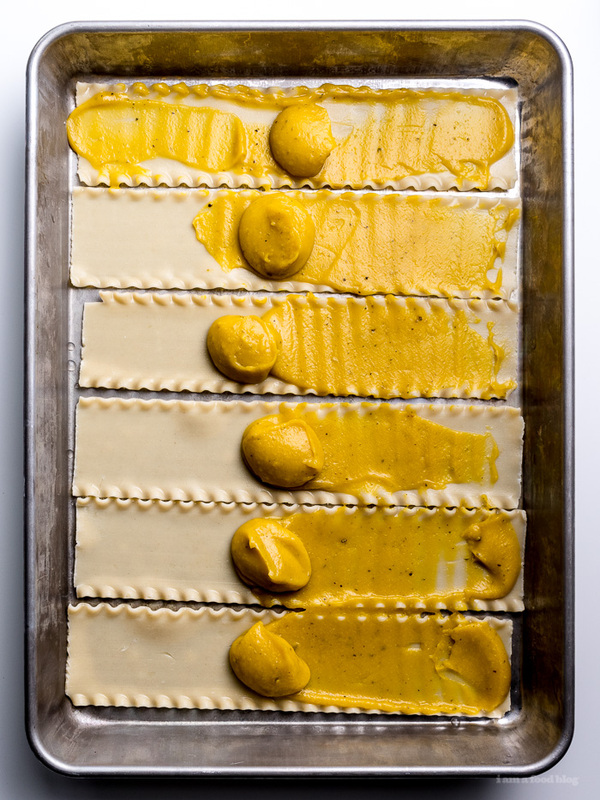 Spread 1-2 tablespoons of kabocha sauce, then about 1 tablespoon of the ricotta mixture evenly onto each lasagne noodle. Roll up tightly and place into an ovenproof dish. Repeat until all the noodles are rolled. Spoon any extra sauce you have on top and around. Top with mozzarella. Bake at 375°F for 45 minutes or until cheese is melted and slightly golden. Let cool slightly and enjoy warm with crispy sage leaves, if desired. Notes: To crisp up sage leaves, heat up a touch of oil in a pan over medium heat. Add the sage leaves and fry, about 10-20 seconds per side, flipping as needed. Drain on a paper towel. Wow, just wow. I’m Homer Simpson drooling all over my keyboard right now. This recipe looks freaking amazing!! 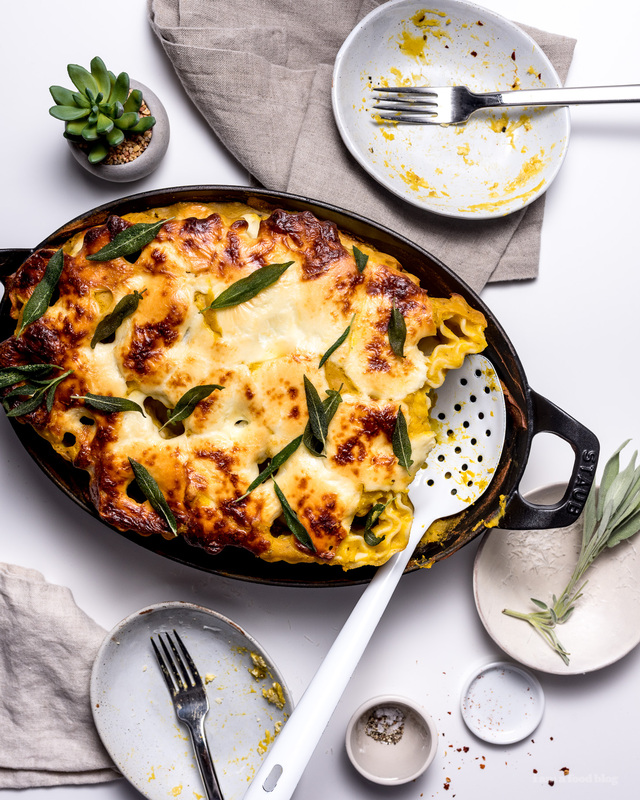 Love this recipe — I love kabocha and it’s such a brilliant idea to make lasagna into pull-aparts! “Lasagne” is the proper plural form of the Italian word “lasagna”. It is used when referring to multiple sheets of lasagna, or the dish as a whole. This is a distinction often overlooked and a word oft unused by English-speaking Americans. ugh yeah cutting kabocha/any thick wintery squash is annoying. 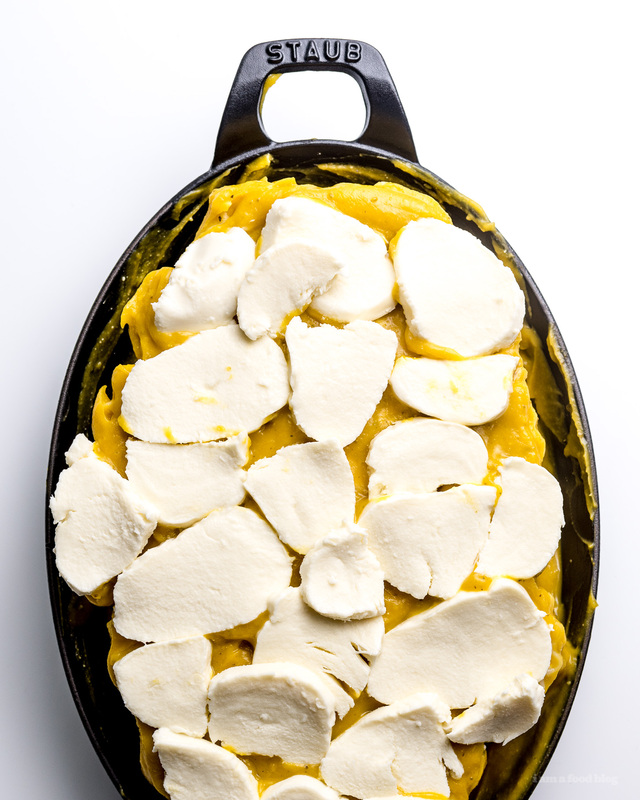 i like to halve it and then stick in the oven to minimize cutting time, but enlisting another squash prepper works too (: this sounds so cozy and i’m loving all that bubbly cheese!! Delicious! Also, I’m dying to know where that white spoon with the holes is from?! it’s from west elm, but from a couple of years ago. i think they might still have it!? Thanks, Stephanie. My daughter has a tomato allergy and it is wonderful to find a lasagna recipe she can eat. yay! so happy i could help lynda :) hope she likes it! 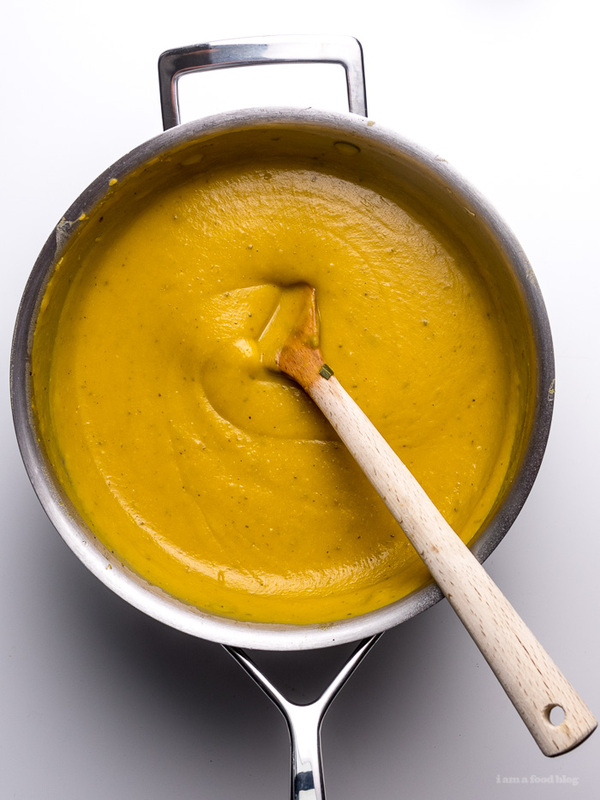 Pumpkin/ squash puree makes a really great tomato sauce substitute! My fiancee gets really bad heartburn from tomatoes and we use pumpkin puree for spaghetti sauce too! Will definitely have to try out this recipe! 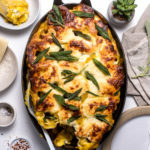 Can you make this lasagna with “no boil” noodles? Sorry for dumb question, but once you rolled up the noodles did you keep them horizontal or place them vertically? It looks like you prepped in one pan and cooked in another so I couldn’t tell which way they cooked–or if it would really make a difference. Thanks! i kept them vertical because i thought it looked prettier, but it doesn’t matter which way you stack them, both ways will work equally well! Either way, I am pinning and making this ASAP!! YUM! 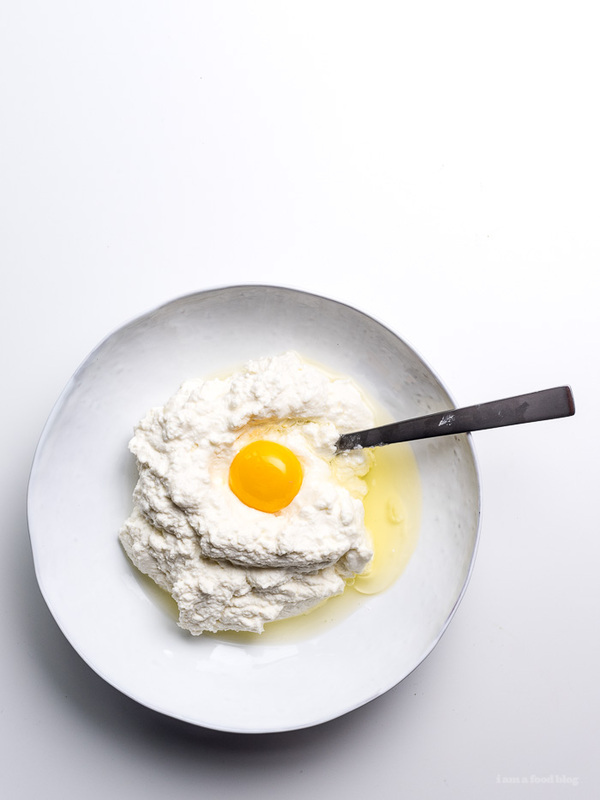 ooh yeah, ricotta is a hard one :( but i think it would be absolutely delicious without the ricotta as well. mike totally thought the ricotta was a bit too rich for him, so i can see a straight pumpkin sauce lasagna working well :) and i think goat cheese ricotta would absolutely be delicious! Do you blend with the liquid? yes, blend with the liquid! I had a lot of sauce left over and a lot of ricotta mixture. Did i do something wrong? I also kind of wish I kept some of the cooked squash whole to add to each plate instead of blending the whole mixture. Thanks for the recipe. Really yummy. that’s a good idea, keeping some extra kabocha on the side for texture difference! is your baked pumpkin pretty dry? i’d say start with adding about 1 cup of stock and going from there. you could saute the aromatics and add it to the cooked pumpkin, then put it in the blender with 1 cup of stock and see how the consistency comes up. let me know how it goes! I need to get rid of some canned pumpkin. How do you think you could sub this? i haven’t tried it with pumpkin, but i think you could stir some in with ricotta and then roll it up and bake it. it depends on how much pumpkin you have. otherwise, maybe some simple pumpkin mac and cheese? I would love to make this ahead of time and freeze it for later in the week. Would you suggest freezing it baked or unbaked? This would be my first time freezing a lasagne and I have no idea how to go about it without ruining it!